Carroll & Karagelian LLP is committed to providing the best client service and the most practical level of service to each of our clients. Our attorneys have each worked in larger firms. We have opted to limit our size to focus on those areas where we believe we are most effective, and to focus on our client’s needs. 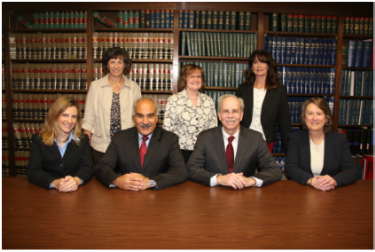 From our offices in Media, Pennsylvania and Wilmington, Delaware, we serve the legal needs of businesses and individuals in the Philadelphia, Pennsylvania and Wilmington, Delaware areas. Though our lawyers are adept at litigation, we also stress planning and litigation avoidance as an important part of our practice. We listen to our clients and understand their needs in order to offer the best representation. We are committed to assisting all of our clients, individuals, families and businesses, in achieving their goals and overcoming obstacles that stand in the way of those goals. Dedication to quality and understanding of the law makes Carroll & Karagelian LLP an excellent choice for individuals and businesses in need of sophisticated and personal legal representation. Contact us today to see how we can be of assistance to you.